NAGA CITY – The date of resumption of operations of the Philippine National Railways (PNR) is still hazy. This was admitted today by PNR Director Ruben Medroso in an interview with the BICOL STANDARD. According to Medroso, there are still many repair works to be done before the next train could service Bicol. He said further that at the moment, PNR is focusing on repairing bridges which are already dilapidated and those which were destroyed by the recent typhoon. Asked for a definite date when the regular trips could possibly resume, Medroso replied that that the soonest time would be next year. He could not, however, tell the riding public the precise month when the operation would recommence. 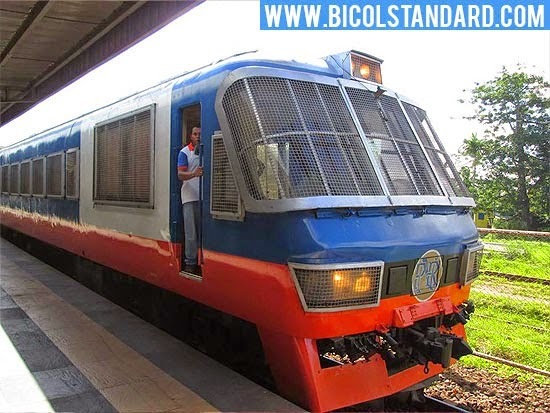 It will be recalled that an inspection trip was done few months ago, together with the members of Congress and media, where the PNR management assured the Bicolanos that an efficient operation would resume this month. Meanwhile, Director Medroso assured the riding public that they are pushing for the restoration of their service at the soonest possible time.